I finished the Patchwork Challenge with a total of 104 species; 2 up on 2016. But that doesn’t tell the full story… I added 12 species not seen in 2016 and whiffed on 9. Notably, I missed out on osprey and tufted duck, two birds I would have banked on seeing at the beginning of the year. However, I recorded 7 patch firsts including jack snipe, waxwing and quail. See full table below. Keep scrolling to see my 2017 highlights. Without question the best bird of the year was quail, which I heard while playing quoits at the pub. It popped its jolly song all evening and into the next day; I even heard it from bed when I woke up the following morning. The knowledge of my patch is improving all the time. I went from not registering a single siskin in 2016 to identifying a year-round colony in Langton Wood, changing their patch status from ‘common visitor’ to ‘resident’. 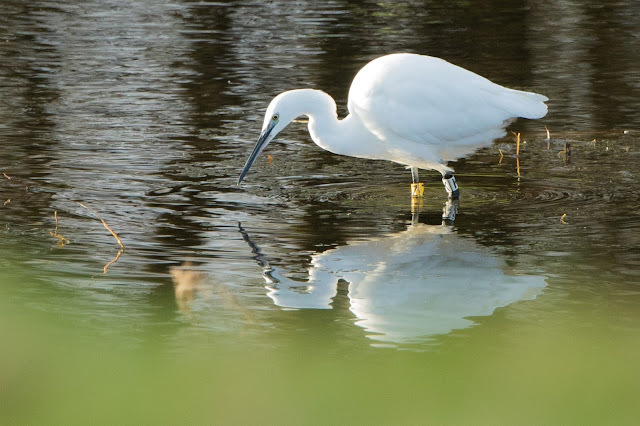 Birds that are doing particularly well seem to buck the national trend. Tree sparrows, lapwing and curlew are all increasing in number each year. The hedges drip with buntings and linnets during the summer, farmland song-birds that are under pressure elsewhere in the country. 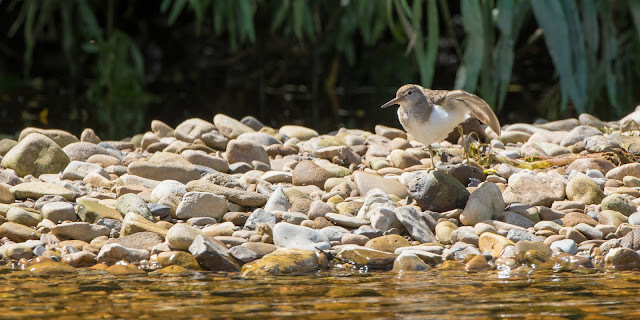 I spent a week in June following the fortunes of a pair of breeding common sandpipers on the Swale. I witnessed them luring a jay away from the nest, engaging in bond-building behaviour and feeding readily in front of my hide. Alas, in the week I spent with them there was no evidence of chicks and in the following week the river flooded after a spectacular summer storm, so they almost certainly lost their clutch. Better luck next year. 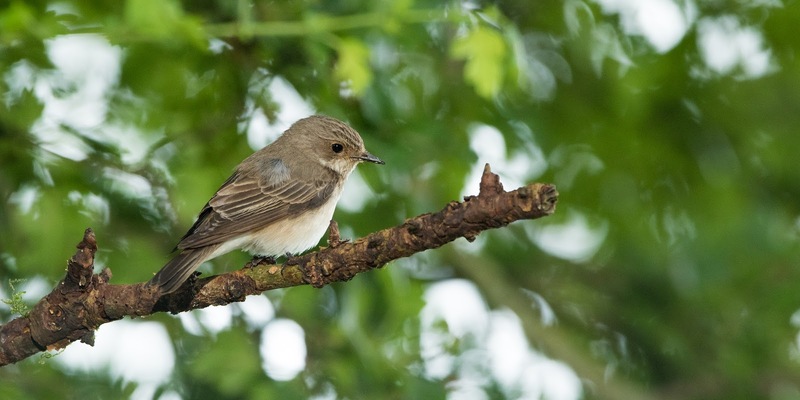 A bigger success story was a nest of spotted flycatchers I found in late May. These birds were doing very well and Richard Fife reported that he’d witnessed the birds had fledged in early June. Sometimes the best moments are spent with fairly common animals that allow you a rare opportunity to witness their behaviour up close. 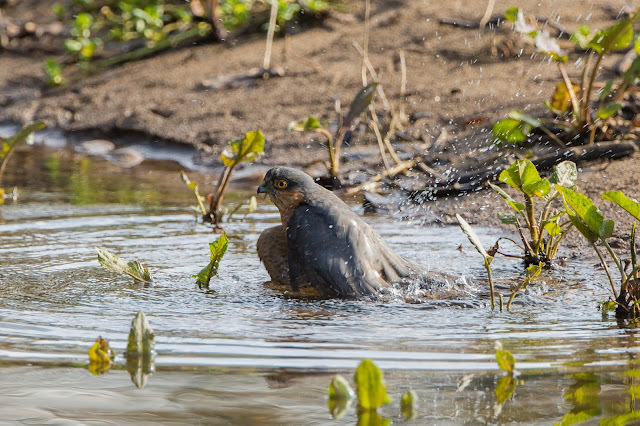 Sparrowhawks are usually glimpsed fleetingly as they flush a hedgerow in the distance, but I was lucky to encounter this stunning male in March, fully occupied with taking a cold bath. 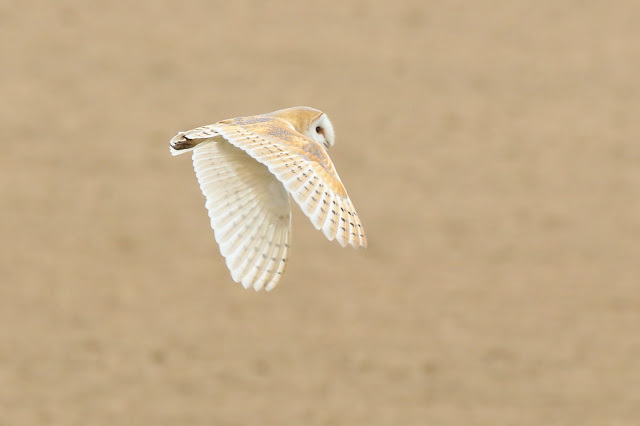 I stood still and managed a reel of photos over what seemed like an hour, but might have been no more than 2 minutes. 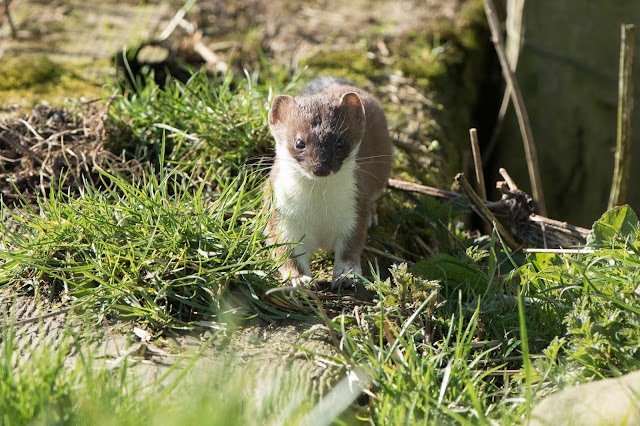 Remarkably, on the same day I also stumbled across this mischievous stoat that seemed just as interested in me as I was in him. He eventually decided I was no threat to him and we shared a walk along a hedgerow in the field beneath St Wilfrid’s church and into the graveyard, where he near as ran over my boot! My final highlight is a bit of a cheat. 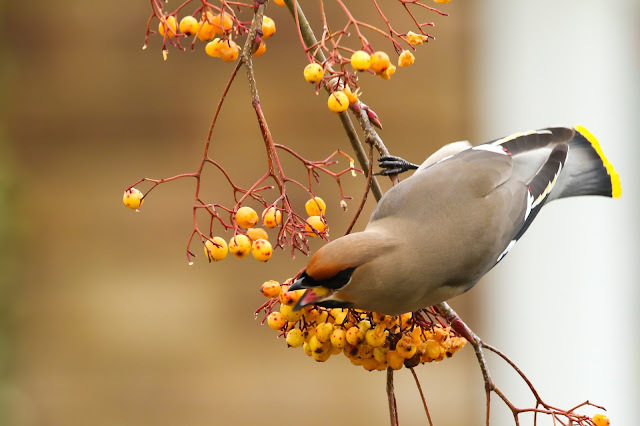 I got a call from Nick that waxwings were present in Morton-on-Swale in huge numbers. I raced there in my car and found the flock feeding low in an ornamental rowan tree. The trouble was, they weren’t on my patch! Nick suggested I might be able to see the flock moving from my patch if I went and stood on a high spot. I did exactly that, and armed with my ‘scope stood on the high field and watched the waxwings fly-catching above Morton bridge. I hope 2018 turns out to be as fruitful. As I write this on 16th February, it’s already proving to be so! I’ll hopefully catch up with posts this weekend.